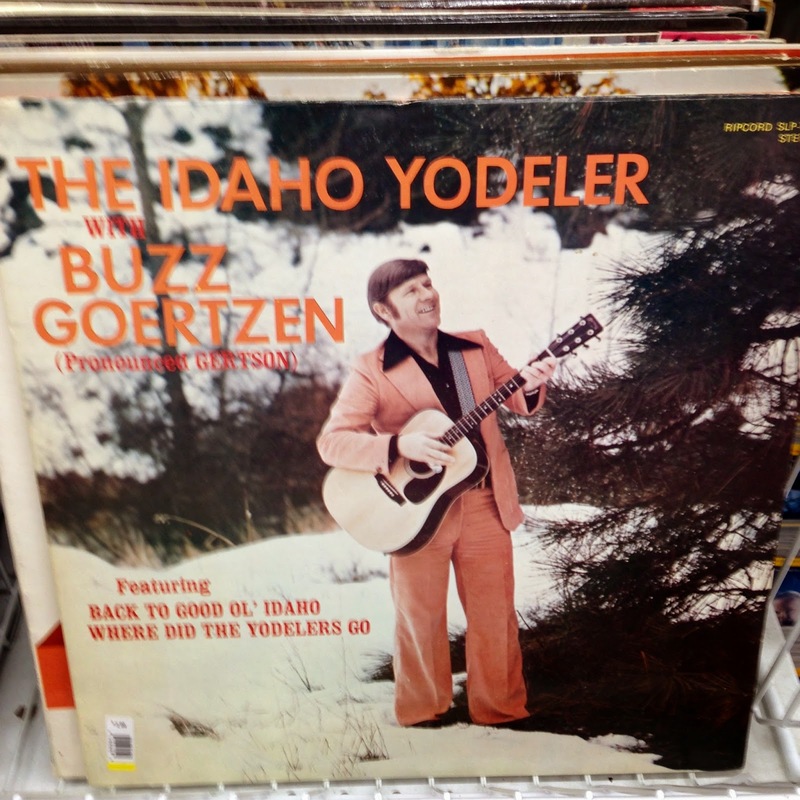 15 MORE WEIRD KNICK-KNACKS AND RECORD COVERS FROM THE VALUE VILLAGE THRIFT STORE IN WOODINVILLE, WA! 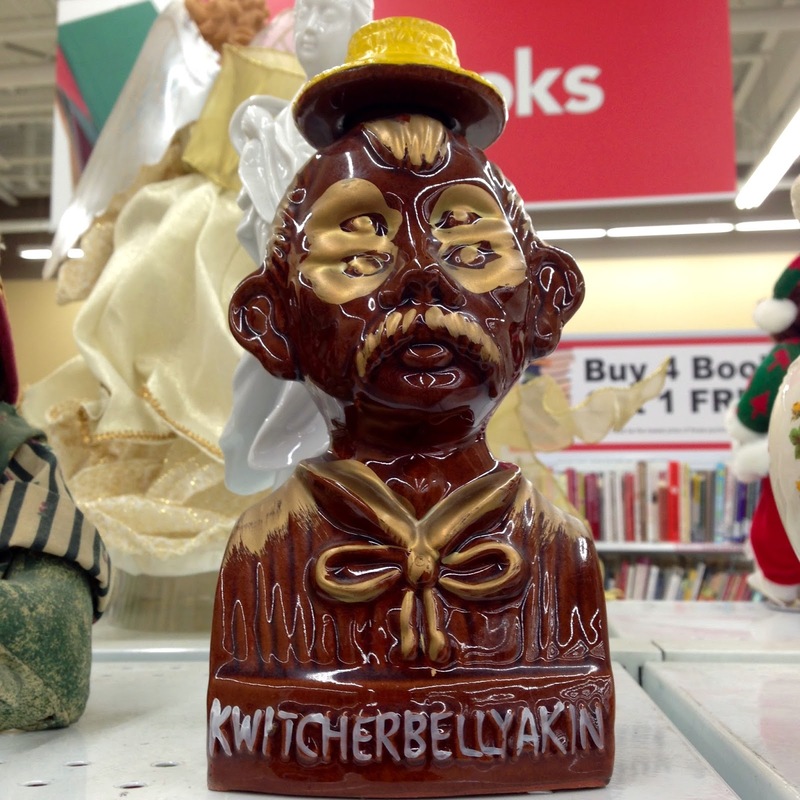 Ah, the joys of thrifting...saving a buck here and there and getting CREEPED OUT at the same time! Here are a few more oddball items from the ol' VV -- please to enjoy!! I...I...don't know. I just don't. 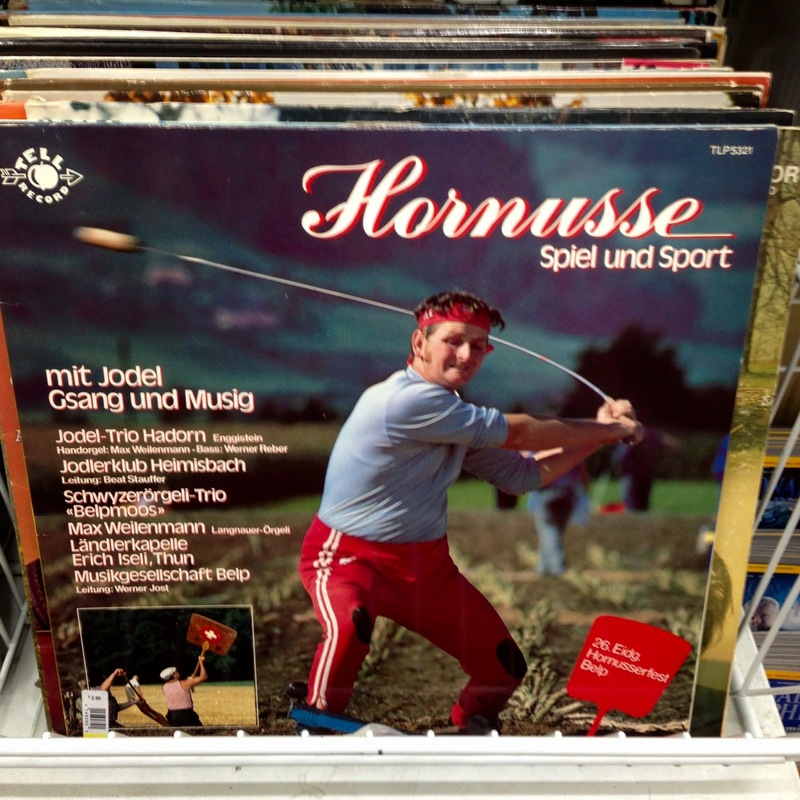 You only wish you were as sporty as this dude. I can't stop looking. This one. This one right here. Every single thing. The hair. The "Pronounced GERTSON." 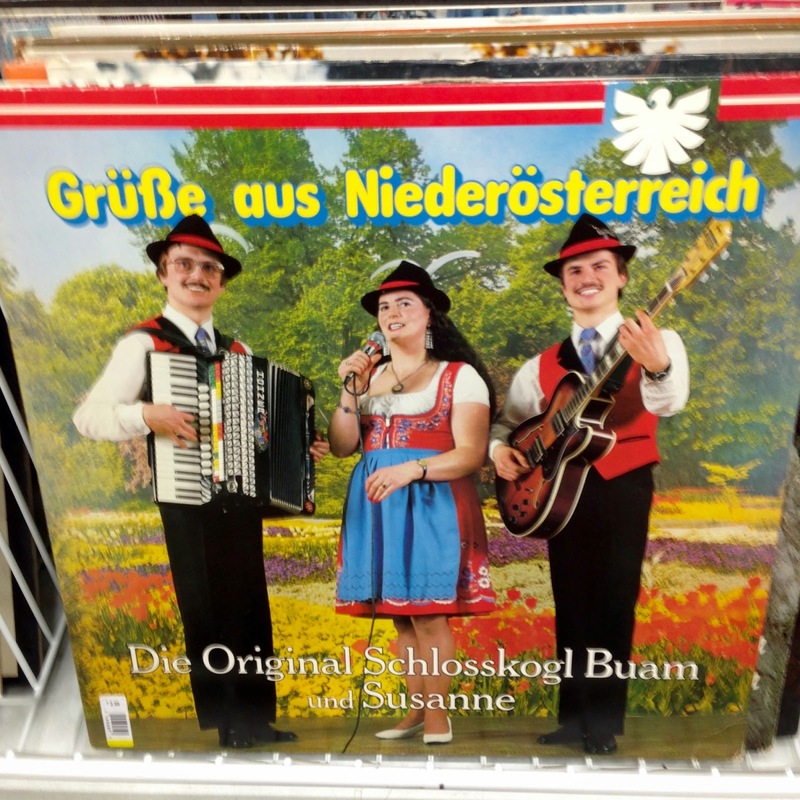 The "Where Did The Yodelers Go." The color of the suit. "Buzz." That Buzz is staring at a pine tree. That Buzz is either 5' tall or is standing in a hole. Everything. 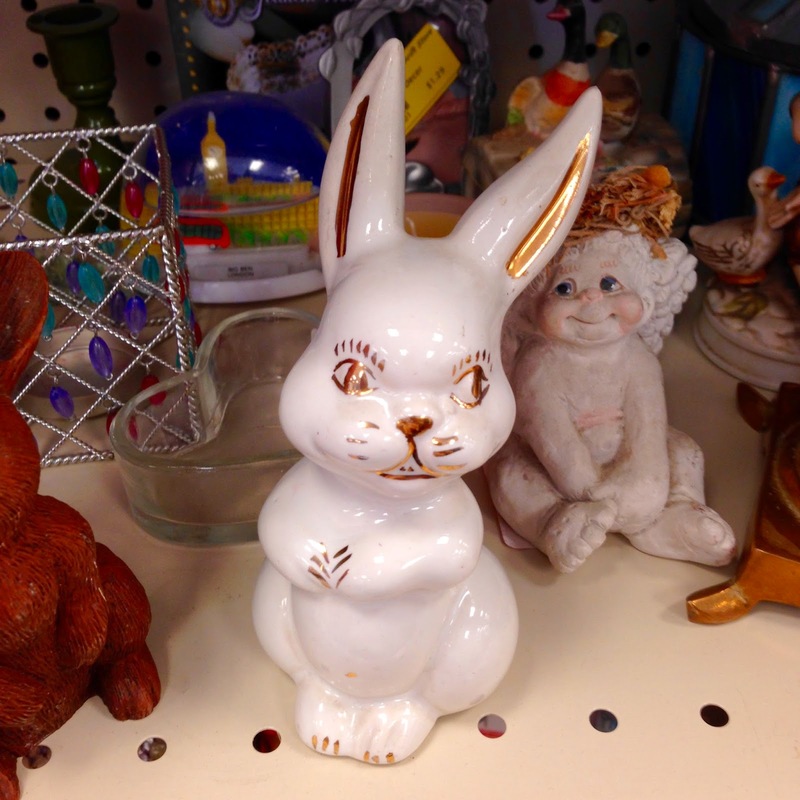 There is no shortage of psychotic bunnies. 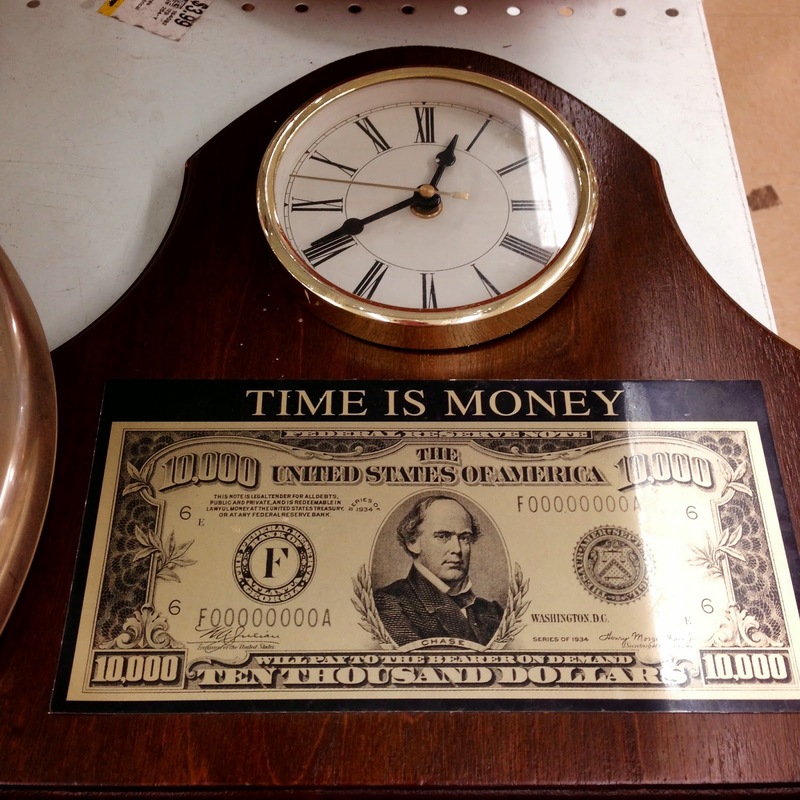 The cruel karma that is your horrible, HORRIBLE "Time Is Money" clock ending up at the thrift store. 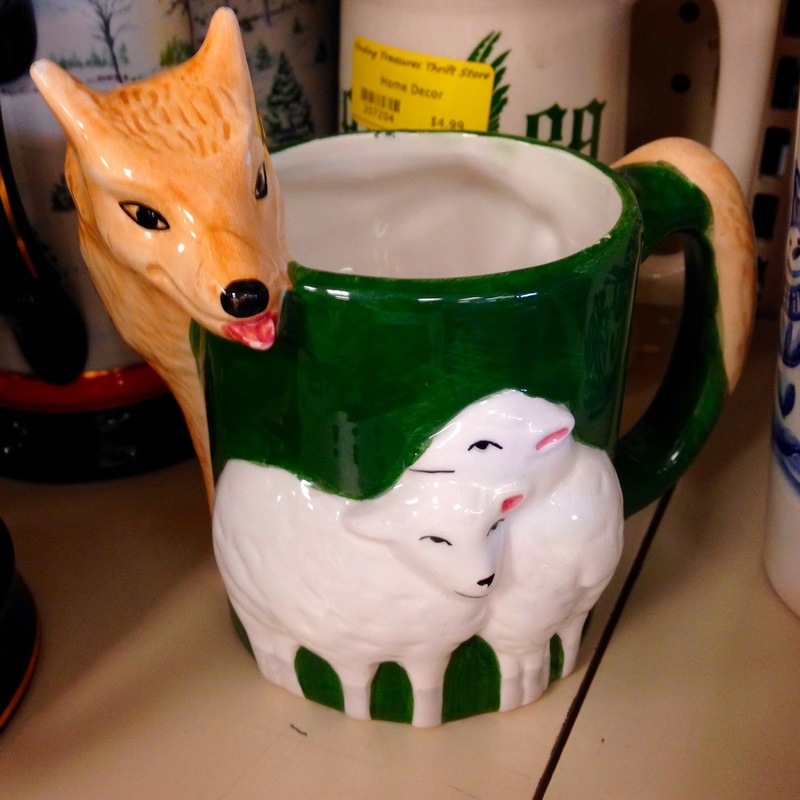 I am curious as to the character of a person who would enjoy drinking their morning hot beverage from a mug depicting the imminent grisly demise of two sweet lambs. Multi-cultural dolls are FREAKED OUT. 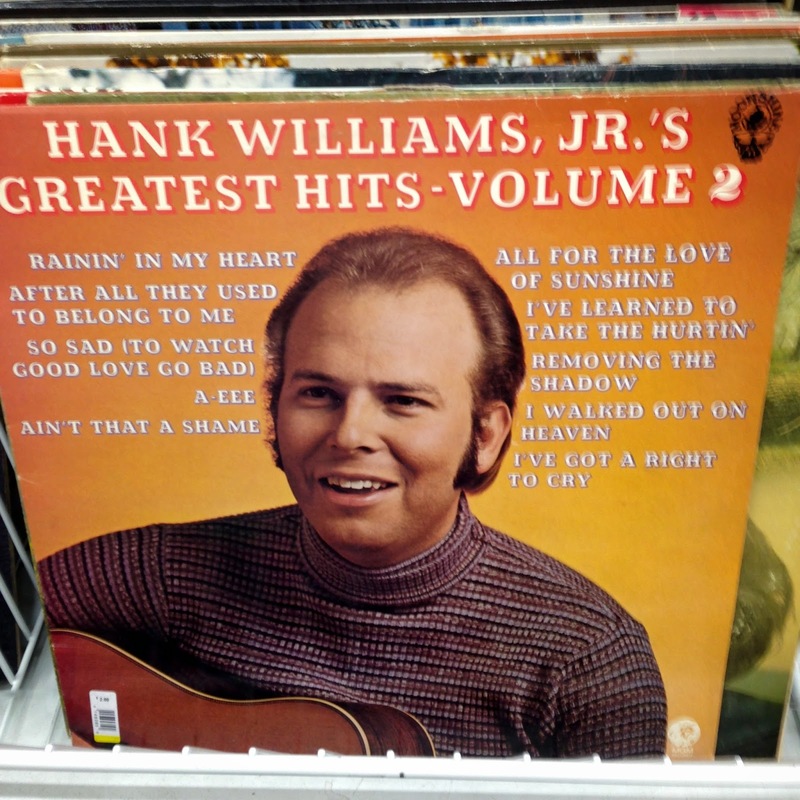 Hank Junior or Clint Howard? 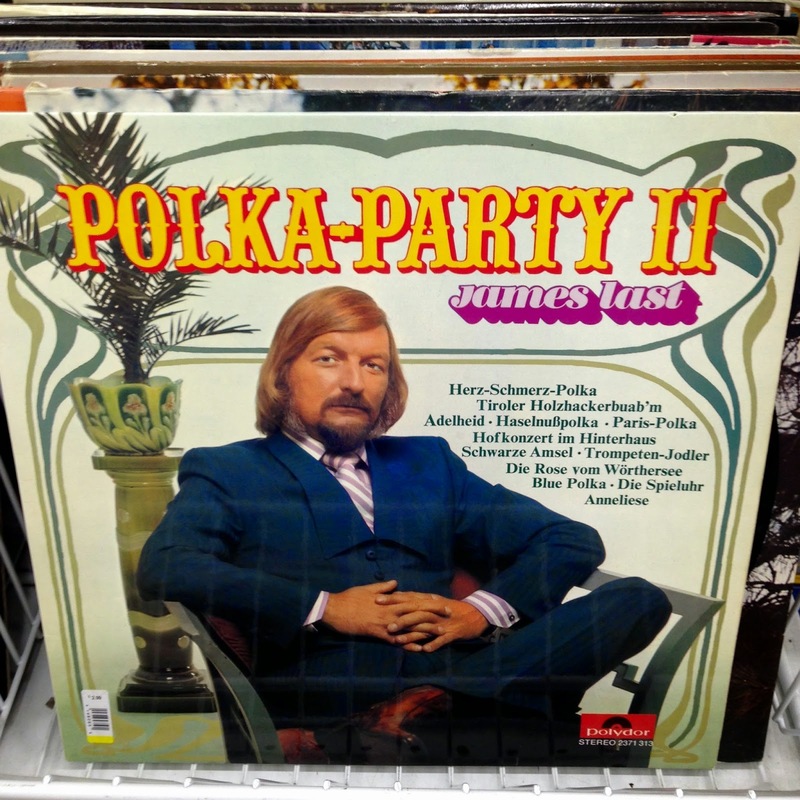 Clearly, James Last is BRINGING THE PARTY. 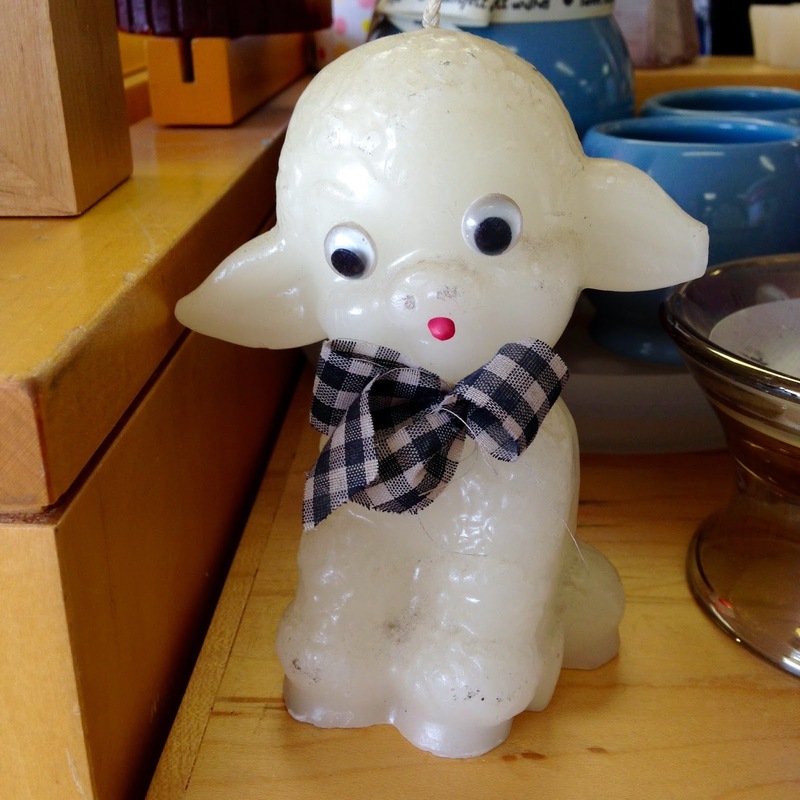 It's just not the lamb's day at the thrift store. Imagine the screams of horror and hysterical tears from your kids as Wooly here melts into a pile of wax, jaunty bow, and floating googly eyes. I find this revolting. 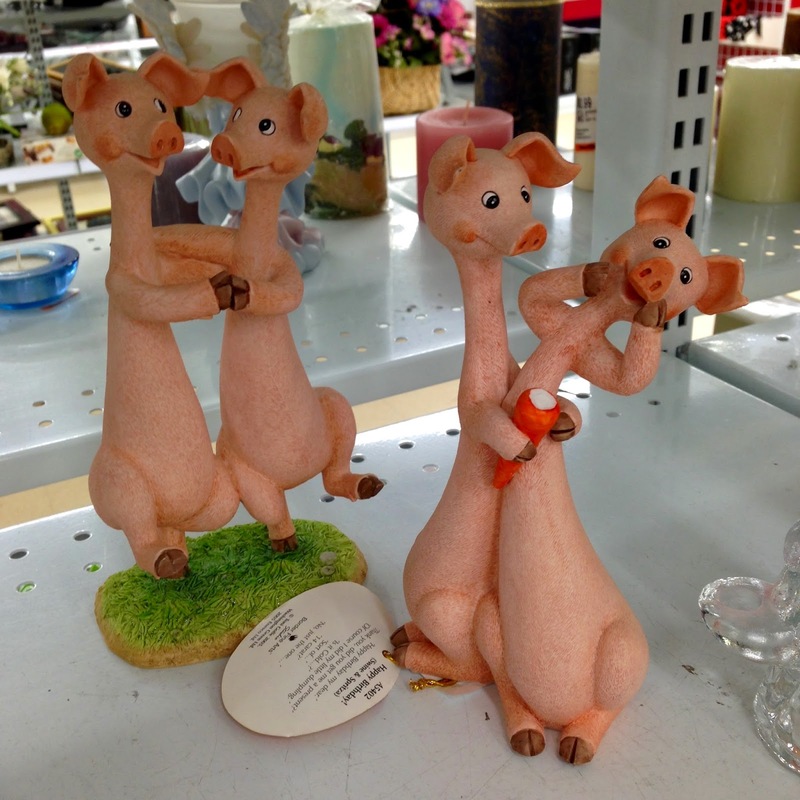 No one wants to see dancing elongated pigs. 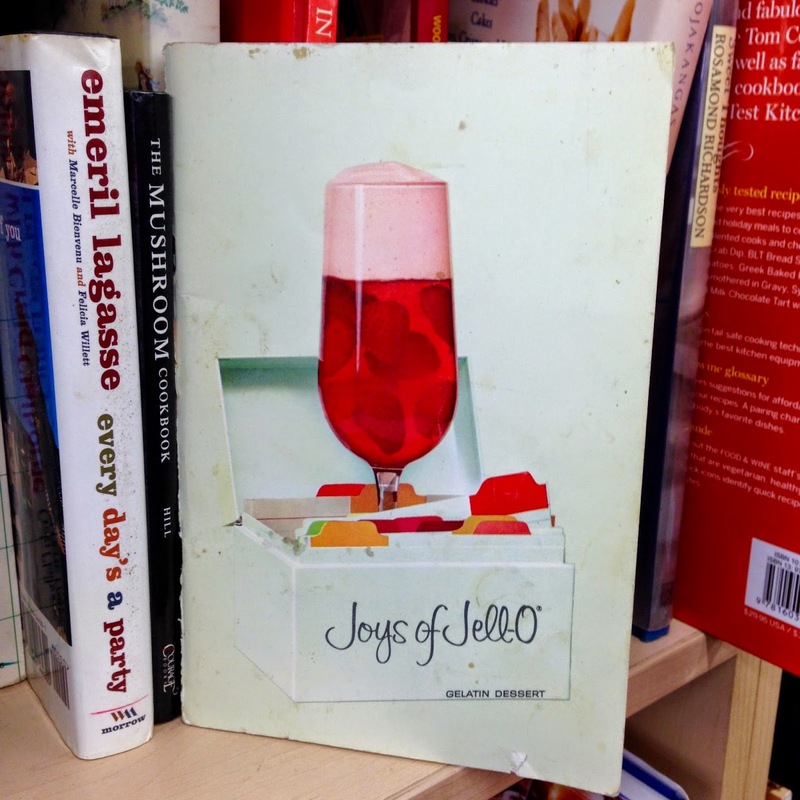 Let us be clear: there are NO JOYS OF JELLO. NO. JOYS. 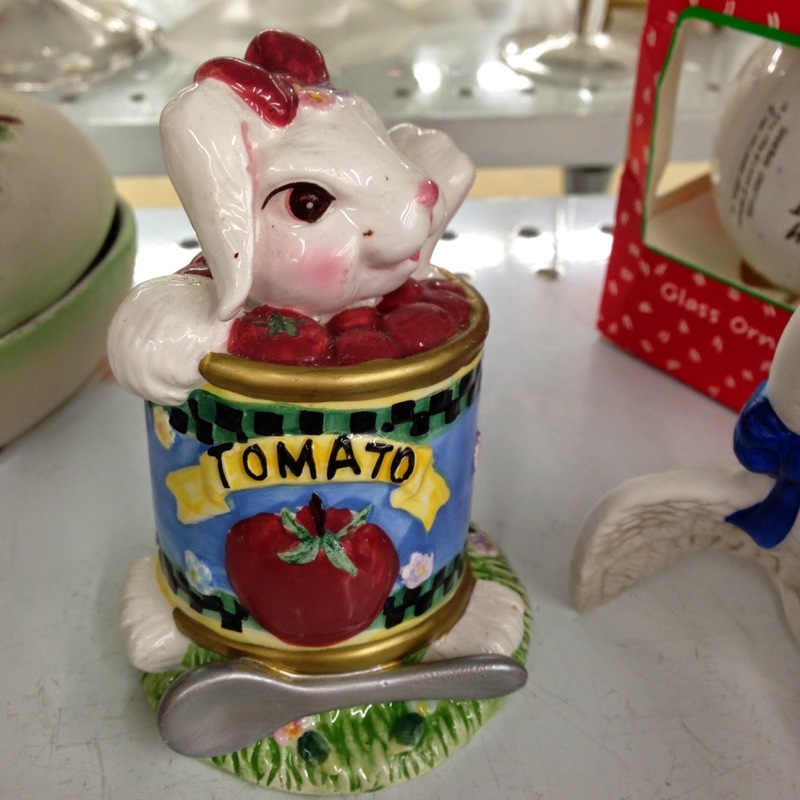 That is not a tomato. It is a bunny. And finally... I wonder if this would melt? That would be satisfying.